Thursday tied for the hottest Thanksgiving ever recorded in San Diego. It reached 87 degrees at Lindbergh Field, tying the record set in 1932 for the holiday, which was on Nov. 24 that year, according to the National Weather Service. Thursday’s high did set a new record for Nov. 23, which had a previous record high of 86 degrees 1950. Records were also broken in many inland locations. It reached 94 degrees in El Cajon, compared to the previous record of 86 degrees set in 1995. 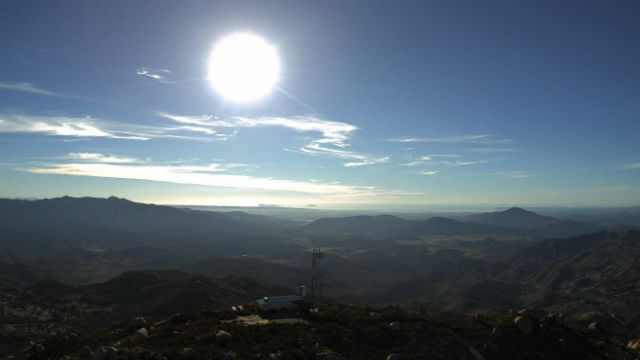 Escondido recorded 93, versus the previous record of 90 in 1950. And it was a record 88 in Chula Vista, one degree higher than the previous record set in 1924. The holiday warm-up began Tuesday, when most areas were about five to 15 degrees above what they’d been just 24 hours earlier. Wednesday was the warmest day of the late-season heat wave. It’s expected to cool down starting Friday, though temperatures will still be above-average. The weather service predicted a high of 78 on Friday, 72 on Saturday and 73 on Sunday in San Diego. “The cooling will spread slowly inland Friday into the weekend with greater cooling Sunday and Monday with stronger and gusty west winds in the mountains and deserts,” according to the weather service. Fire crews were on heightened alert Wednesday thanks to the combination of hot, dry conditions and gusting winds. The fire risk is slightly lower, but a Santa Ana wind pattern is expected to return next week.